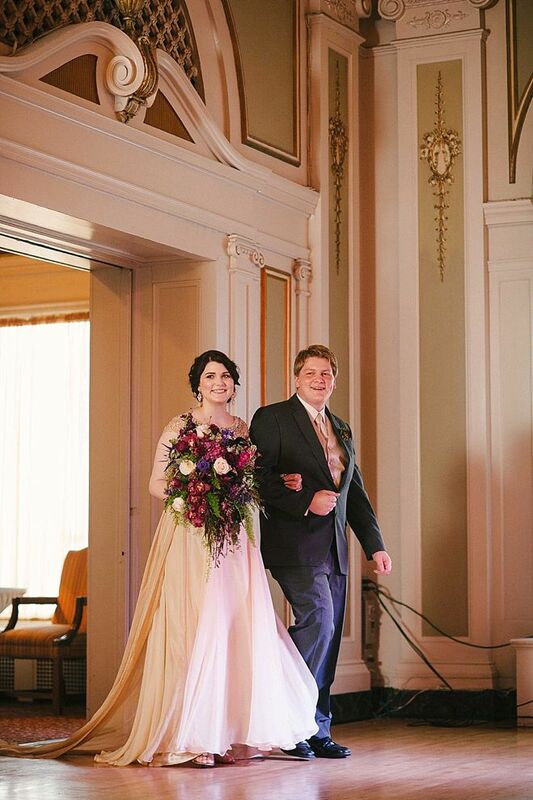 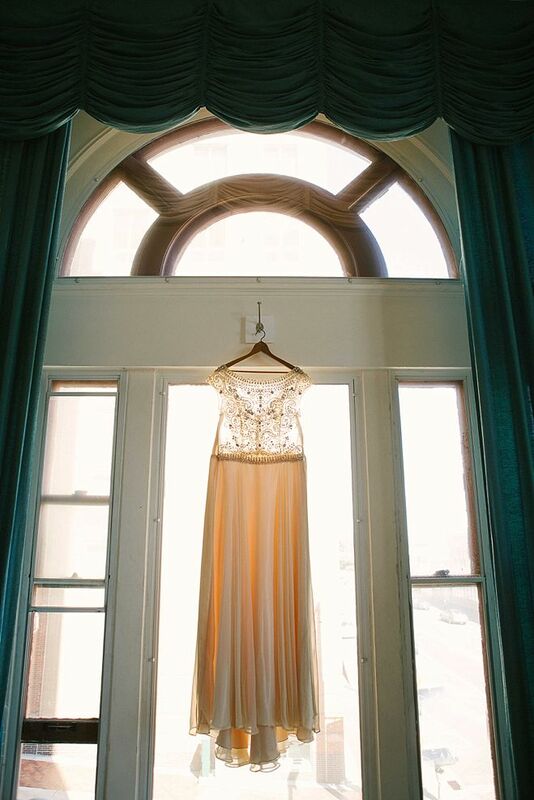 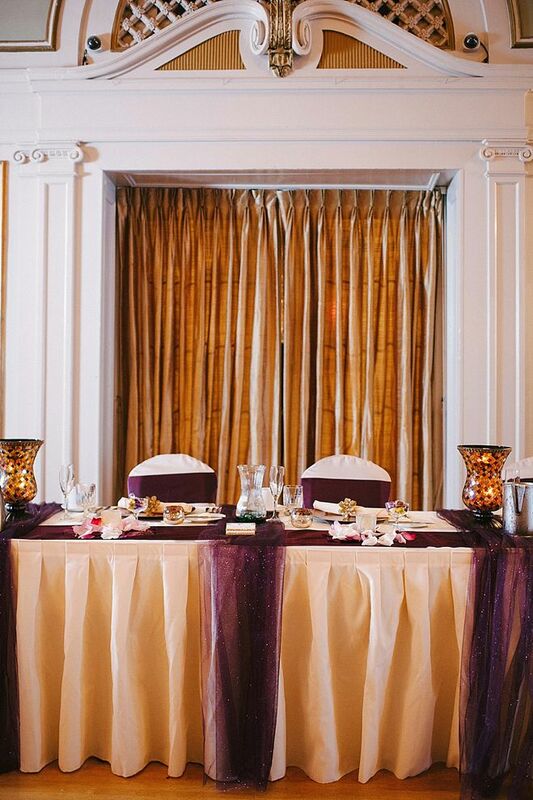 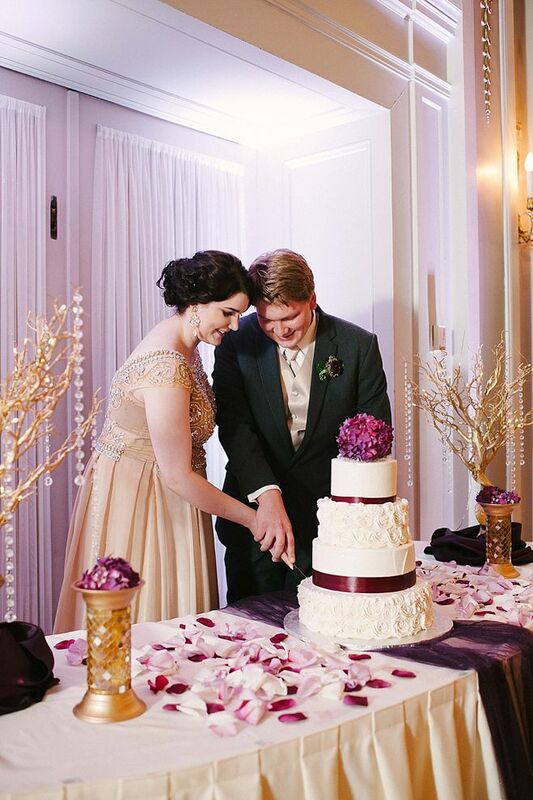 The dress, the rich color palette, the balcony, the beautiful couple; Kaylie and Adam's ornate and perfectly romantic wedding is one for the books! 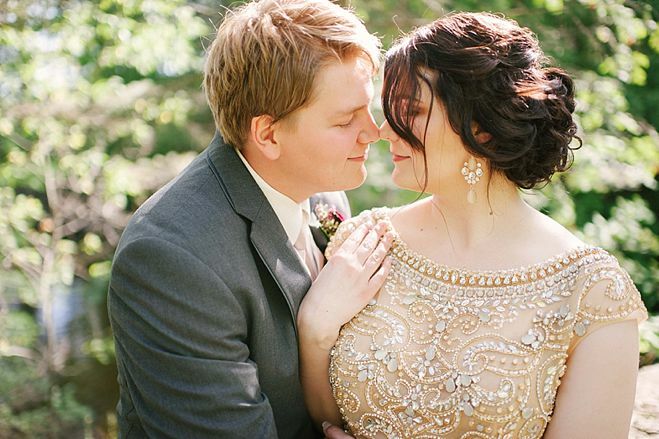 This pair has such style, down to the very last detail. 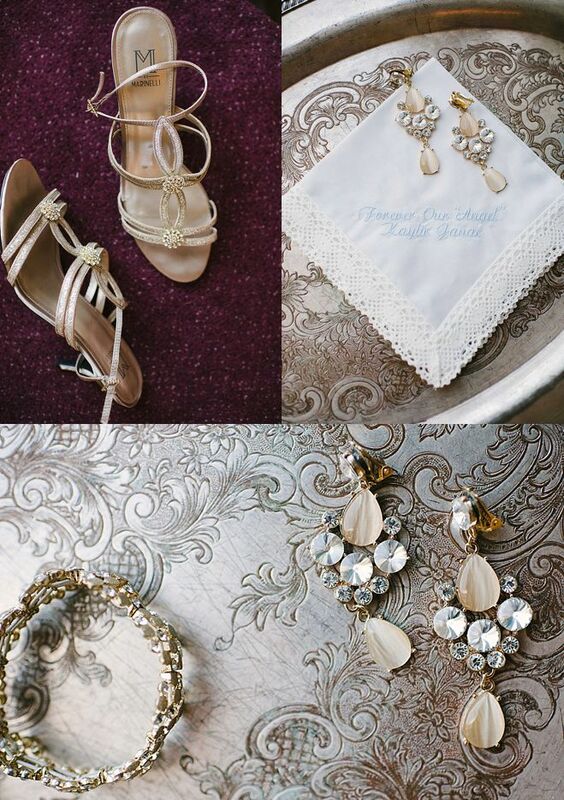 The bride's trousseau is coordinated perfectly, and I love how the jewelry she chose compliments her sweet engagement ring. 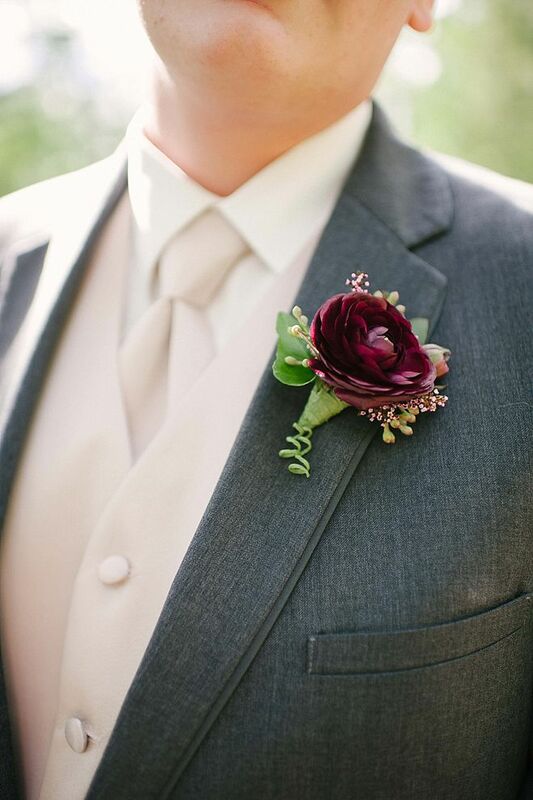 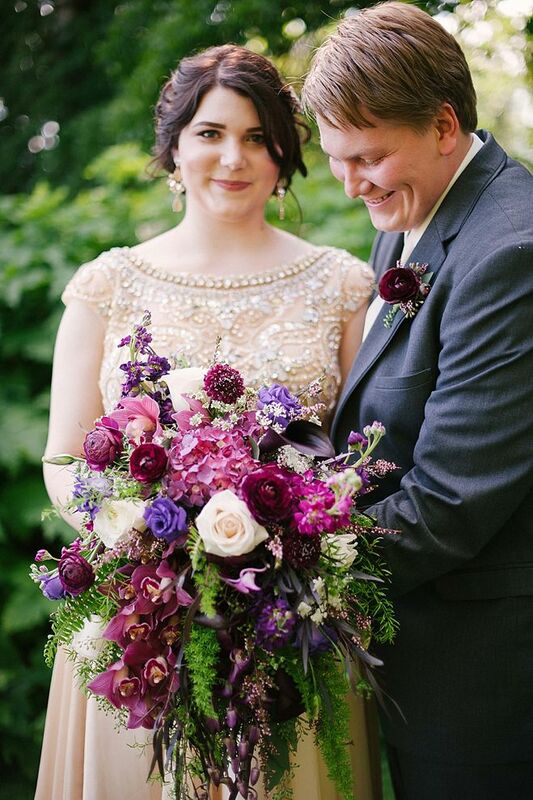 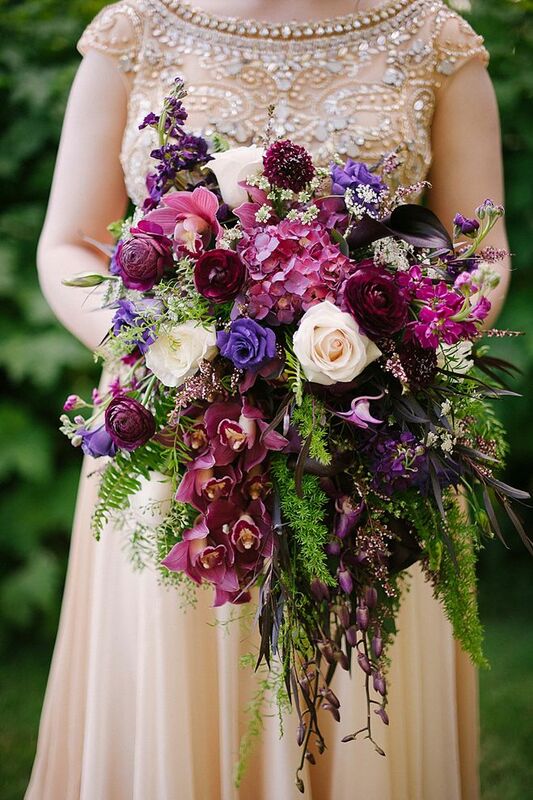 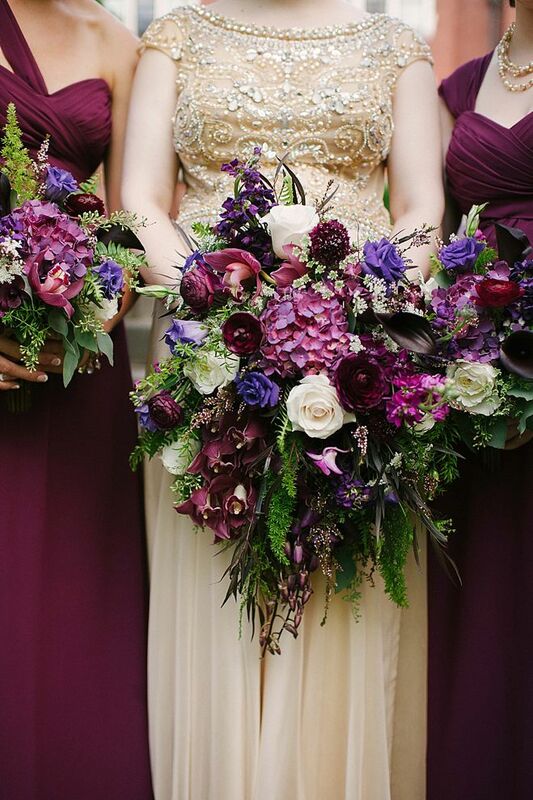 Her bouquet is truly a thing of beauty, adding bold color and texture to her look. 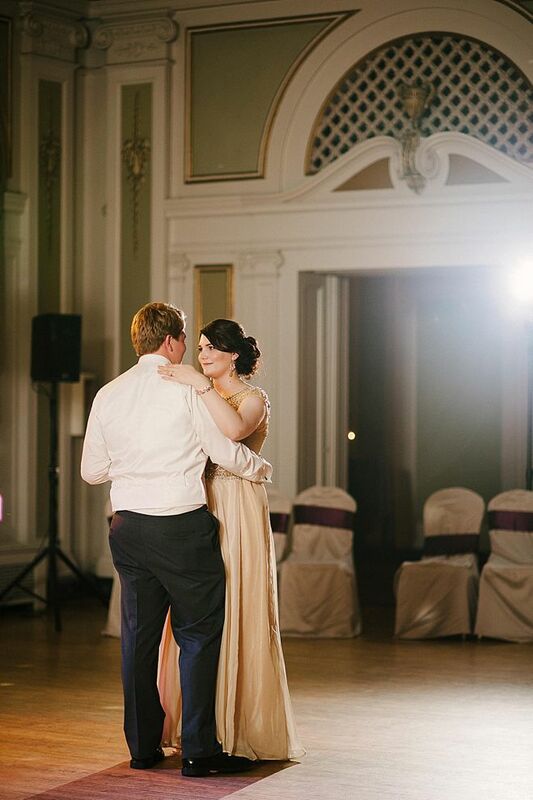 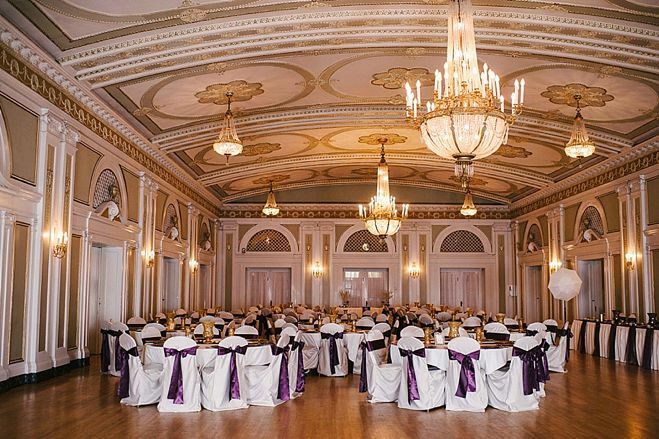 They chose venues that brought such presence and created an opulent atmosphere - straight out of Romeo and Juliet. 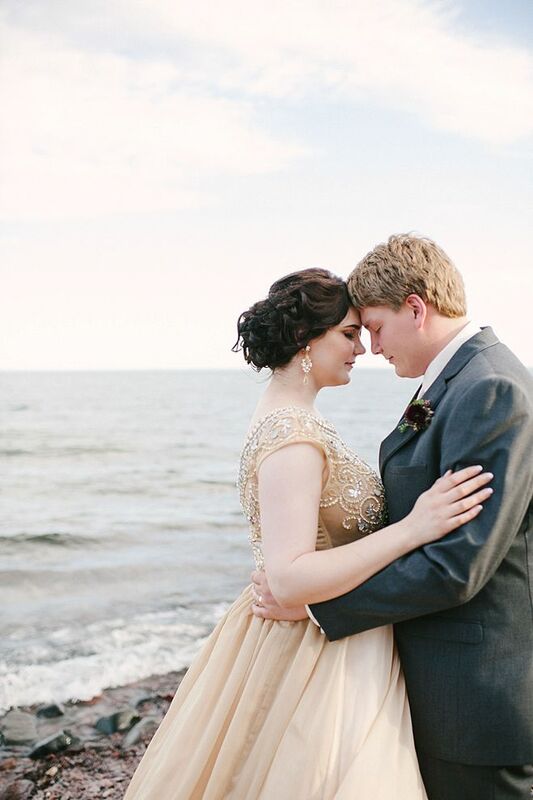 I can't stop gawking at the portraits of these two on the shore of Lake Superior. 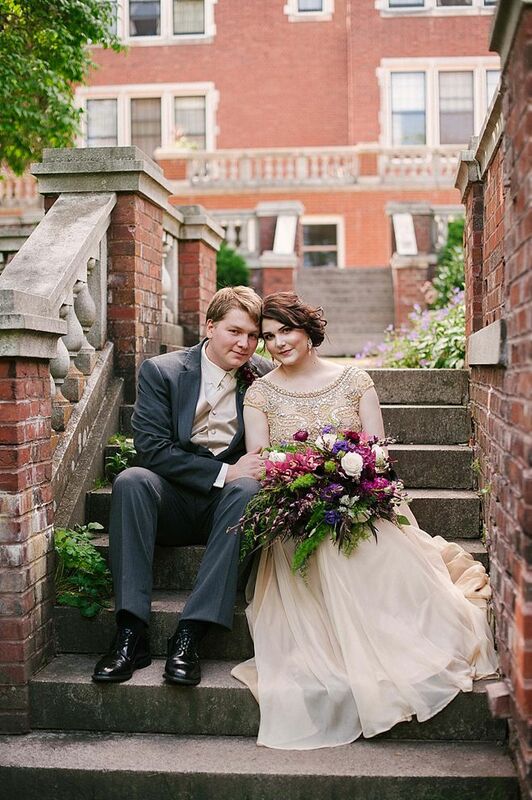 This beautiful day is incredibly romantic and entirely unique. 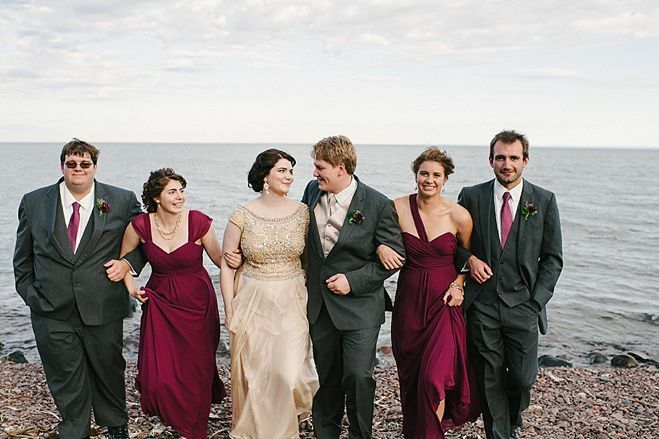 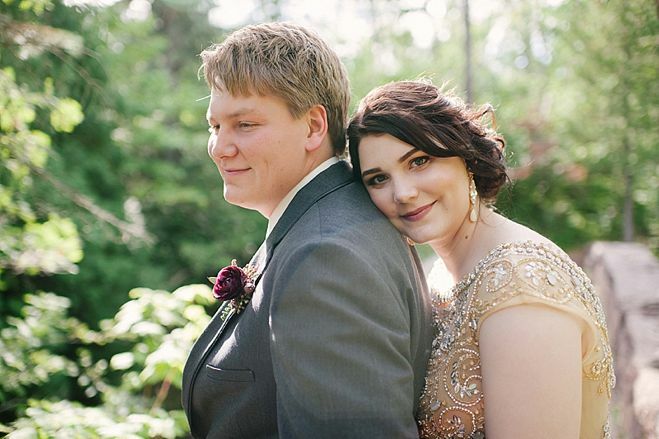 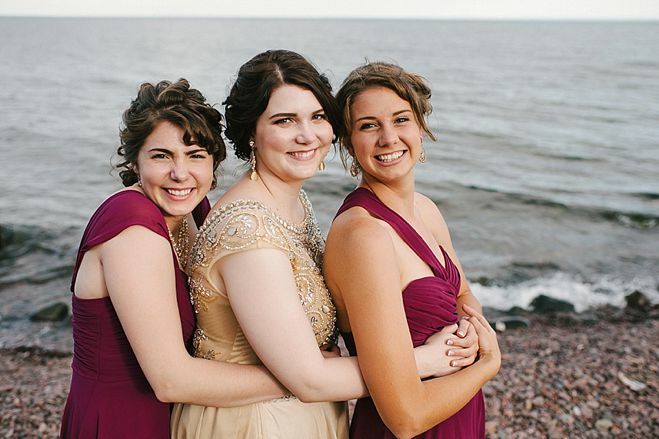 Kaylie & Adam's love for Old Duluth architecture defined their sunny September wedding day. 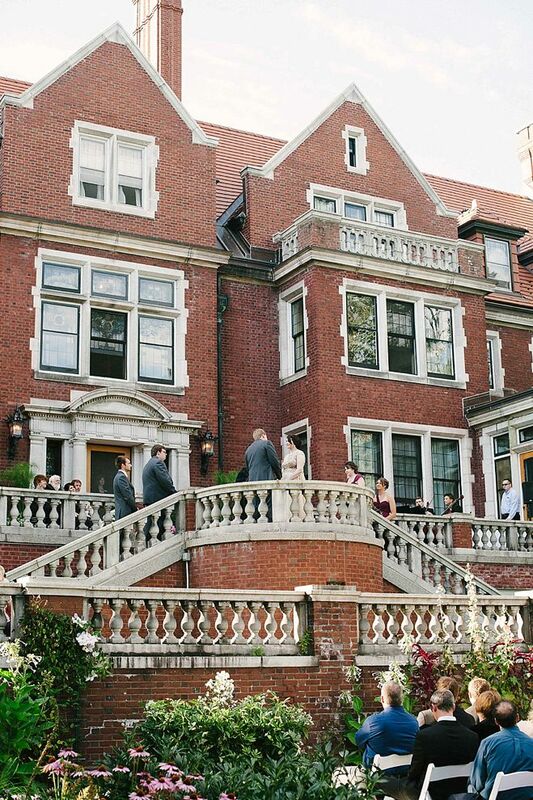 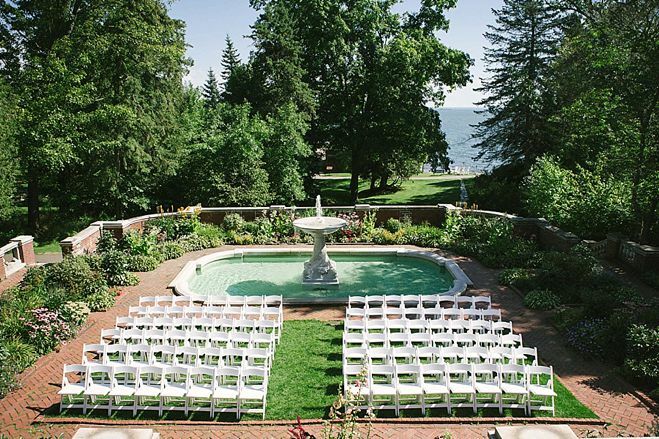 Set against shimmering Lake Superior, their outdoor ceremony took place on the Glensheen Mansion's Juliette Balcony overlooking a sea of their closest friends & relatives. 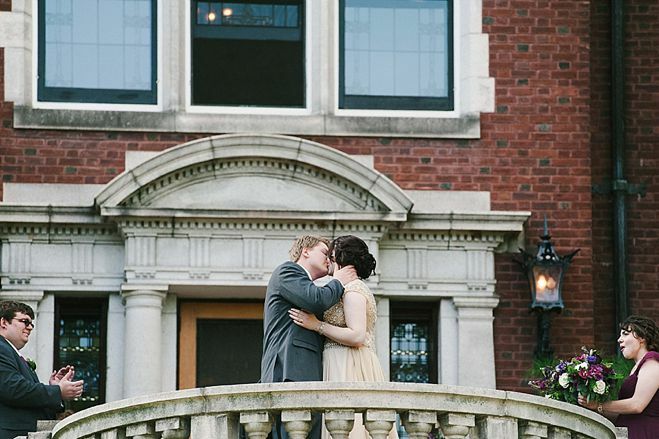 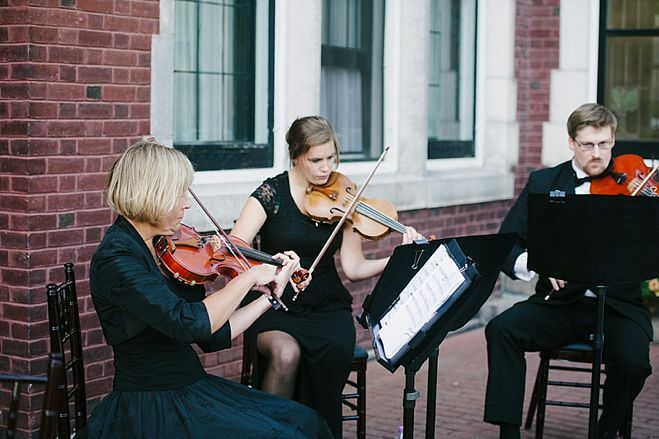 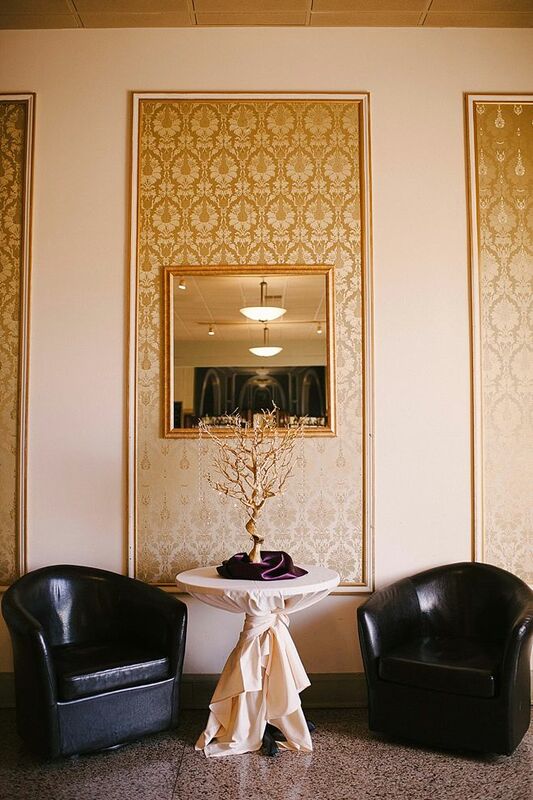 Later, guests enjoyed the romance & wonder of Greysolon Ballroom by Black Woods in downtown Duluth. 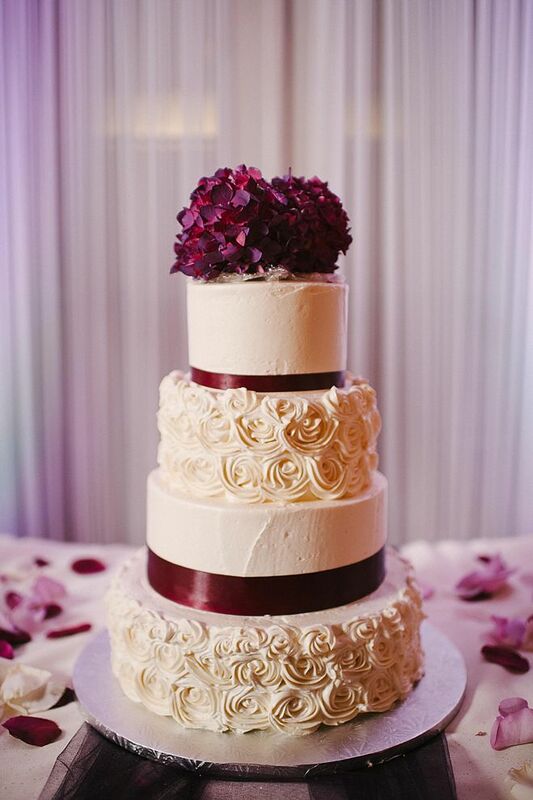 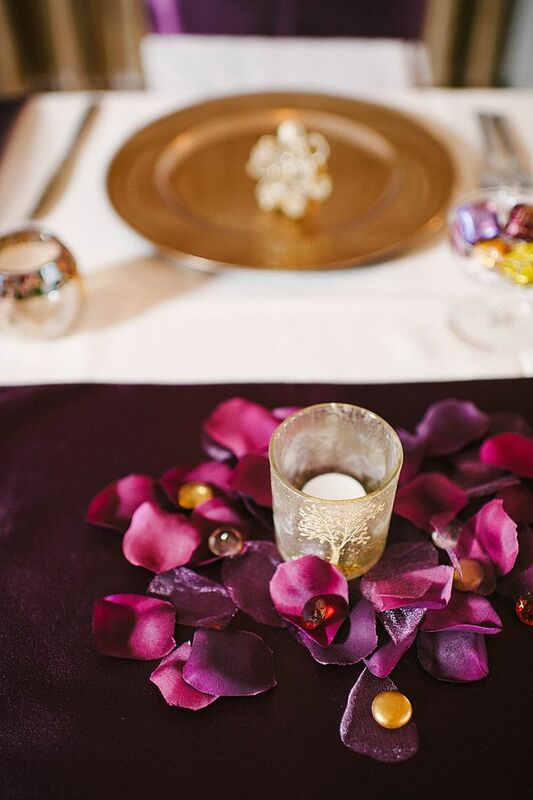 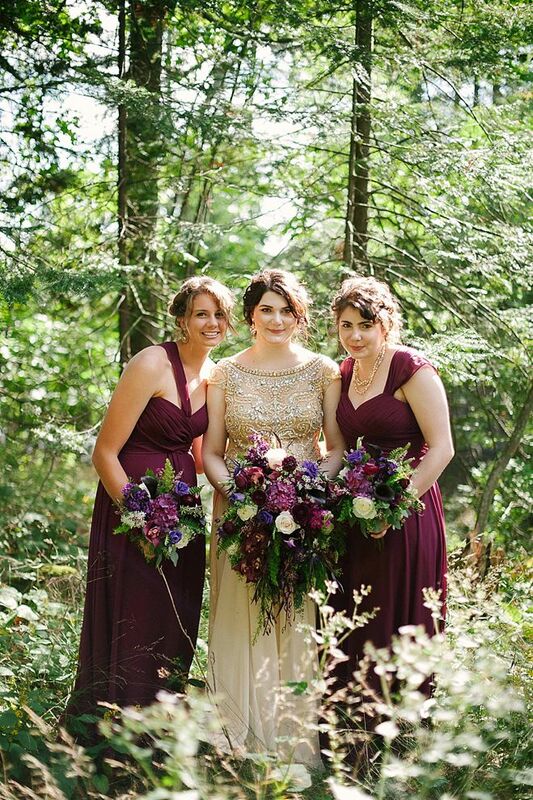 Featuring a rich color palette of gold, champagne, sangria and eggplant, their handmade touches included gold branches, twinkle lights, and abundant flower petals. 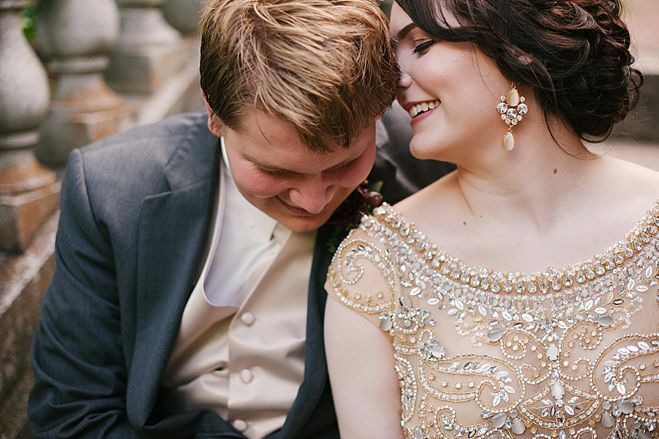 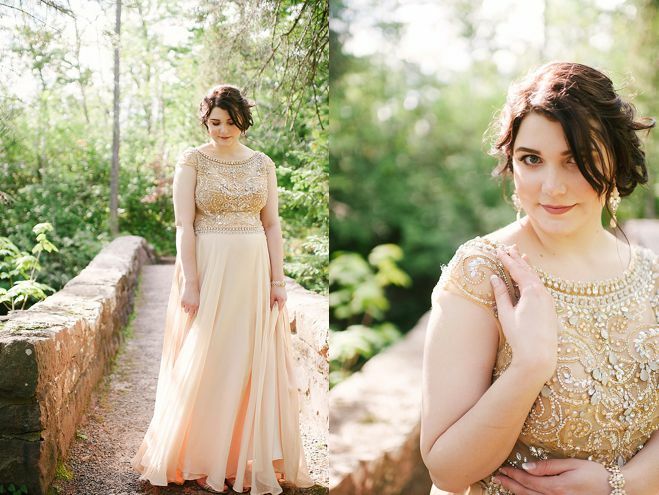 Kaylie's ethereal, bejeweled Jovani gown stole the show, along with her lush, cascading bridal bouquet.